Click here to download the full review in .pdf format. About the time my niece turned one, back in March of 2012, my younger brother and I went for a walk in the cul-de-sac around which my sister resides. My brother had to steal away from the party to sneak in a cigarette so as to be spared of admonishment. The ﬁrst stars began to furtively twinkle in the twilight. There was a breeze — the passive early Spring kind harbingering the nicer weather which lay ahead. Two points of light in close proximity prominently stood out in the western sky. Judging by their “low” magnitudes and position about the ecliptic, I correctly conjectured what the two points of light were. I nudged my brother and gestured in their direction, “Venus and Jupiter.” To which he ejaculated, “Oh really?! I wish I knew that last night!” Allegedly, in a turn of forced romance, he had proclaimed to his date of the night before that the bright objects were the North Star (in the throes of an identity crisis in the western sky?) and Pluto (during its once in an eternity opposition?) While my brother may have been misinformed, to invoke such enthusiasm through my knowledge of the night sky, re-endeared me to a lost love. As astronomers we are curators of the heavens — and I knew I had to return. This review has been a long time coming. I resolved to write it many accursed Moons ago (astronomer … remember?). For once, there is a virtue in procrastination — I have been aﬀorded the opportunity to use the scope and see it age with grace. I’ve hauled this scope far and wide, used it in the full spectrum of conditions, let it collect a mantel of dew (or frost), still the cherry stain and silver vein aesthetic remain as arresting as the day I got it. While the scope moves as smoothly about its axes as it did on its maiden observing session. This is the “George Clooney of telescopes,” it thumbs its nose at time and continues to look great. This is one of the reasons to go premium, you know your investment will withstand the test of time. Even if something were to go awry, I’m sure I’d have Teeter’s backing during the repair process. In fact, Teeter has periodically checked in to see how things are working out. As I alluded to in the opening, my STS got me back into observing. The common refrain, “got me back into observing” after an unplanned period of inactivity is so overused it sounds hackneyed — but it is true, this little scope got me back into observing in a big way and forged a couple cherished, astronomy-based friendships in the process. The STS is the single best investment I have made into the hobby. (Well, the 13mm Ethos I plucked off Astromart isn’t very far behind). Every lull in observing, every unforeseen break from the hobby, has a cause — more times than not, the cause can be traced back to one’s gear. The telescope is big and cumbersome, entails an involved setup, is difficult to use for a specific reason. Often some combination thereof. These factors invariably deter observing, rather than encourage it. I had a great big telescope, dwarfing the chiffonier next to which it stood, but bereft of starlight. There is no greater tragedy in the amateur astronomy community than a great scope which goes unused and becomes a dust collecting apparatus invented by Newton. The problem was, this great big telescope was a bear to move and collimate. The former put my chiropractor’s kids through college plus one of his neighbor’s kids. (By the way, Teeter has conceived of some ingenious ways for easy transport of his big dobs). As my desire to get back into the hobby grew, I decided I wanted something small and easily transportable. An overlooked convenience of a small scope is it allows for seated observation. Prior to the great big scope, I had two small refractors (The Orion 80ED and the Takahashi FS-102). What I missed most about the small refractors (aside for their obvious edge in portability) was their inherent capacity for seated observation. I found it harder to slew across the sky — all the while seated in one position — with the big scope. I began to revisit the websites of the those telescope outﬁts which most interested me before taking my unwilling hiatus from observing. As soon as I saw Teeter’s new STS line, I was sold. I had to have one. I promptly made an inquiry to Teeter and, to my luck, there was a structure unspoken for and available for pickup at NEAF. He oﬀered to hold it for me while I deliberated. Within a matter of hours, I wrote back and conﬁrmed the purchase. From the beginning, my scope sensibilities were wrought by Ed Ting and his reviews. On a particular winter recess from college, I (to ungodly hours) imbibed every single one of his reviews — no small undertaking. Of his pieces I enjoyed reading the most were the fabled, David and Goliath-esque shootouts — such as the one between the reverential Astro-Physics refractor and the upstart Starmaster Oak Classic. "Only a premium instrument can satisfy the most discriminating and fastidious of observers." At ﬁrst blush, the STS smacks of the Oak Classic — but, upon closer inspection, the STS is more reﬁned and less homemade in aspect (no knock against the homemade aesthetic). It is about time a premium operation stepped up and served the mid-aperture Newtonian (8- to 11-inches) niche. While the imported dobs have for a very long time represented one of the best values in the hobby, they do not exude the “heirloom” cachet I am after. Moreover, the soundness of the structure, mechanics, and attention to detail leave something to be desired. Only a premium instrument can satisfy the most discriminating and fastidious of observers. One of the great things about an STS is that it is made around you. Already have a mirror? A structure can be built to accommodate it. Wish for an oﬀbeat focal length? You got it. Always wanted a bright lavender tube? Everyone in the observing ﬁeld can now know you have bad taste. My STS was to be furnished with an optic ﬁgured by Gordon Waite of Waite Research. When the STS line launched, Waite Research was Teeter’s default mirror supplier (as Lightholder is now). Teeter vouched for Waite. While I trusted Teeter's discernment (plus knowing any mirror maker worth his salt could turn out a all but perfect 8" f / 6 optic), I, for years, had coveted a Zambuto mirror. I ﬁgured this would be a scope I’d have a long time, if not forever, then, perhaps, one day bequeath to a son or daughter for use beneath the canopy of artiﬁcial light. I reckoned, a lifetime with a Zambuto would more than oﬀset the optics upcharge. Thankfully, Teeter exercised patience throughout my period of vacillation, thoroughly and timely answering my questions when they arose. At one point, I even contemplated going with an 11”. Like Teeter, Zambuto was a joy to deal with, providing quick responses to a multitude of queries. In jest, I requested the mirror be “smoother than the Fonz.” Carl, the legend he is, was daunted by my request but delivered in the end. Interestingly, during the deliberative stage, every successive inquiry to Carl would come to bear a shorter lead time. Originally, Carl could promise an 8" in no less than 8 months, a subsequent e-mail cut that estimate in half, yet another, brought it inside of 60 days. At this point I secured a deal with Carl --- but, I often wonder, if I proceeded to inquire once more, would the door bell have rung right then and there only to have been greeted by Mr. Zambuto himself mirror in hand? In June (a little over two months after I settled on what I wanted), Rob would take my now ﬁnished STS out to the incomparably dark skies of Cherry Springs, test the optics then make any necessary modiﬁcations upon returning to his shop. Everything tested out perfectly. According to Rob, Howie Glatter, who was on hand at Cherry Springs, peeked through the eyepiece and verbally consecrated the mirror, declaring it a "ﬁne specimen.” While unnecessary, Rob promised me a "free upgrade" in exchange for letting him take the telescope out to Cherry Springs. As I lay down to bed that night, my mind unspooled the reel of possibilities as to what the "free upgrade" may be. The gamut was run from the plausible to the absurd. Could it be a nifty eyepiece caddy or some animate Sue French ﬁgurine, to be adhered adjacent to the ﬁnder, providing a guided tour of various obscure NGC objects only for her to, upon your ﬁnding them, chastise your not seeing them? As I rolled down the sloping block on which Teeter's Telescopes was headquartered in Lake Hiawatha, NJ (Teeter’s Telescopes has since relocated to a more sumptuous digs in Rockaway, NJ) the fateful moment had arrived. As I pulled up, two attractive STSs sat outside the garage. The larger one of 11-inches was ﬁnished in an exquisite Maple Burl veneer, it looked every bit ready for combat in the desert. Later, I would discover it was outﬁtted with a Royce conical, making the optics on par with the aesthetic. I knew the smaller one, in the foreground, must be mine. I wished to savor the moment, for the telescope before me would spend many unforgettable moments with me beneath the stars. I advanced into the inner-sanctum of Teeter Telescopes. Embryonic rocker boxes were arrayed against the walls, while the covers of astronomy magazines hung encased, predictably paying panegyric to Teeter within. I can't recall precisely if I noticed the "free upgrade" myself or if Rob pointed it out to me. The single-speed Moonlite focuser I had ordered in red was instead a dual-speed Moonlite focuser in gold! This was quite an act of generosity on Rob's part. The dual-speed version (at the time) sold for $100 more than its single-speed counterpart. Some fastidious customer in the past must have wanted a diﬀerent color and Rob had the focuser lying around his shop for a while. Contrary to what that individual thought, I found the gold very appealing and in harmony with the greater aesthetic of the telescope. when you have Carl's word? "Your Zambuto mirror is guaranteed to have the capability to perform to no less than 50 power per inch of aperture with no detectable breakdown in the in-focus image." This claim, of course, contingent upon the ever ﬁckle circumstances under which we all must observe. Given the fact that Carl next to never lets out a mirror which is anything less than perfect, such an aﬃrmation of optical excellence was unnecessary to me. Rob went over with me the do's and don't's of handling the telescope then saw me oﬀ. When not in use, the STS collapses into itself for compact storage (left). The STS is well-suited for outreach. 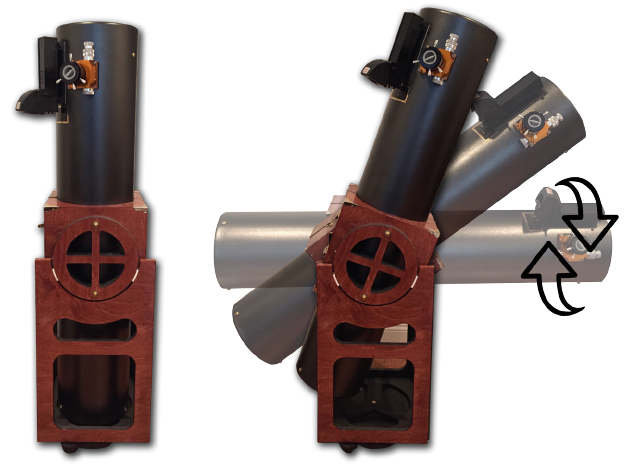 In addition to the expected alt-az functionality of a Dobsonian, the tube of the STS can be rotated to accomodate the eye level of the observer (right). The STS is a great travel companion. It slides across the backseat (below) of just about any sedan or SUV leaving the right amount of room to spare between each door. The ends of the telescope do not bob against the doors. The tube cradle creates enough friction with the upholstery of the car to forbid movement. Seldom do I worry about the telescope taking a nasty spill in the backseat when I traverse craggy roads or make a last-minute turn onto a promising dark sky pasture. One time, I was so eager to check out a potential observing site, I dismounted my vehicle while it was still in drive. I chased after the car and lunged into it not before it ﬂattened a sign. While the telescope did not move, a local onlooker would have surely been moved to incredulity at the tableau of idiocy. So, without further ado, how does the scope perform? In short, about as well as an 8” Newtonian could perform. Look no further than its constituent parts. A Zambuto mirror, stting in an Aurora Precision cell (it was an upgrade, I’ll get to this), reﬂecting light onto an ultra smooth secondary, all this happening within a Teeter structure. There are no weak links in this chain. I could talk ad nauseum about the performance of the Zambuto but it would be academic. As I said earlier, for someone of Zambuto’s caliber, to put a curve in an 8-inch f / 6 is child’s play. Perhaps, he has fancied ways by which to render this undertaking a meaningful challenge — like, say, donning a blindfold or using his feet? By all accounts, this mirror is optically perfect. I have, to the best of my abilities, star tested it and the diﬀraction pattern looks very nice on either side of focus. The views are super contrasty — DSOs and planets (and company) — set to an inky background. A good collection of eyepieces (mainly TeleVue) and the dark felt-like material lining the tube help boost the contrast, as well. There is really lttle more to say about the Zambuto, this mirror appears to be the apotheosis of smoothness. Unfortunately, living at the mercy of the caprices of the Jet Stream is the greatest force working against the peerless optics of the Zambuto. More nights than not the atmospheric conditions prohibit the Zambuto from reaching its full potential. But, of course, there have been nights where I’ve sat at the eyepiece, mouth open, in awe at the clarity of the image. My astronomy friends and I lament how infrequently those nights occur. For as much joy as this scope has brought me, things did not begin so auspiciously. The ﬁrst light, I was feasted on by mosquitos. It was Biblical, just substitute mosquitos for locusts. 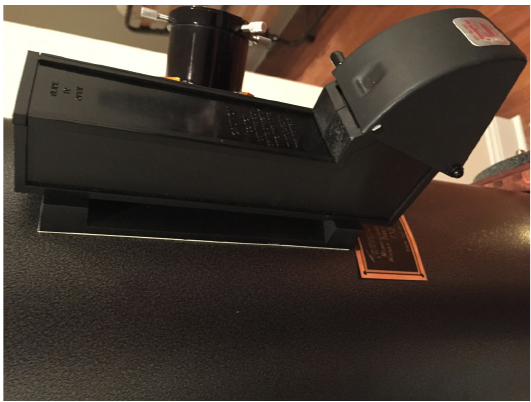 The second time out, concluding an observing session on my terrace, I failed to properly latch my eyepiece case. Upon picking it up, out rolled my two Panoptics (19mm & 35mm) en route to a two-story plunge onto the terrace of a vacant unit below. I emitted a guttural cry out into the night (felling a neurotic cat) then frantically called the second ﬂoor key holder, rousing him from his slumber. The 35mm cracked at the perimeter of the surface lens but was still otherwise usable. To my surprise, the 19mm only sustained cosmetic damage to its barrel. 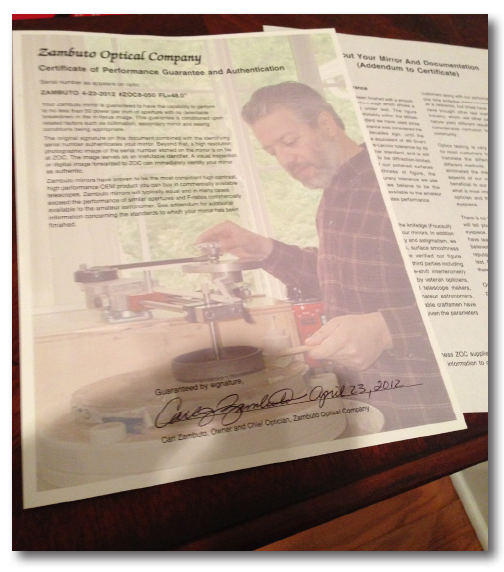 I didn’t need another reason to invest in premium eyepieces, but there is one. I recounted the horrifying experience to Uncle Al over the phone then arranged for the 35mm to be sent back for repairs. At the end of the call he reminded me to “lock up those cases! Luckily, these two ominous occurrences did not portend a troublesome future with the scope. 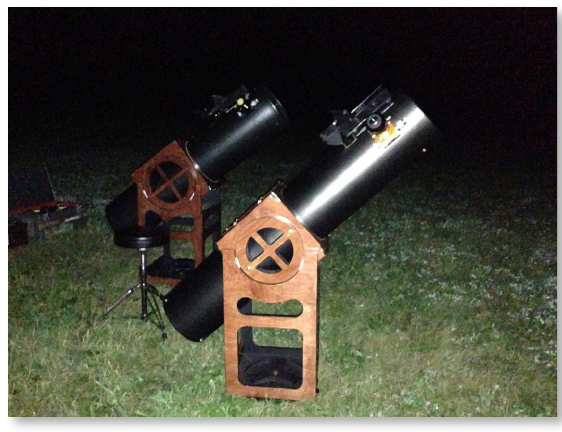 Not long after, I would take my STS out for the ﬁrst time to the “relatively” dark skies of Landis Arboretum in Esperance, New York; my astronomy club’s designated observing site. This is where I’d come to befriend a handful of fellow observers whom I am still close with today. According to Clear Sky Clock, Landis Arboretum is in the yellow zone, with light pollution from Schenectady swiftly encroaching from the east. Still, it beats downtown Saratoga Springs, where I reside. At Landis Arboretum, on a clear night, the Summer Milky Way is plainly seen from horizonto horizon. One of my favorite things to do with my STS is pop in my (beleaguered) 35 Pan and pan the star-littered expanses of the Milky Way, seldom looking for anything in particular. This never grows old — you get lost in the stars! Especially when rolling through the hoods of Ophiuchus and Sagittarius. The smoothness of the STS and the contrast at the eyepiece (stars in relief of a dark background) really enriches this experience. In fact, sharing this experience with an observing buddy led him to invest in his own STS (#27). When I am at my observing seat, my STS functions as a portal to the heavens; the ﬂuidity of the tracking keeps one in the experience of dancing among the stars; rougher movements would detract from the experience. Since I delight in star ﬁelds so much, naturally I would have a partiality for open clusters. The Wild Duck Cluster (M11) and M37 of Auriga are two objects I return to, time and time again, with my STS, season depending. And, of course, the great Double Cluster of Perseus (NGC 869 & 884). I don’t reckon there is something I have looked at more. I can cram both components of the cluster into the FOV with my 13 Ethos (94x). For such a feat, this is a high magniﬁcation, rendering both clusters to an atypically dark background. A sight to behold! Globular Clusters, the more tightly bound (and senior) counterparts of Open Clusters, show up well in my STS, too. Though the masses may disagree, M22 trumps all, not M13. At least, the best in the Northern Hemisphere — also known as the h are two strong considerations, as well. The latter hangs low to the southern horizon in upstate New York. There is a noticeable staﬀ of stars dissecting the glob in half; should I remember correctly, this feature diminishes in eﬀect with aperture, which is why I like viewing it with an 8-inch scope instead of a big light bucket. However, if globs are your cup of tea, the more aperture the merrier. Globs are more the forte of the 10- and 11-inch versions of the STS. Come summer my STS could be found ﬁxed on M57, popularly known as the Ring Nebula. This smokey ring has long been a favorite of mine, maybe this choice is governed by nostalgia, as M57 is one of the ﬁrst Messiers I tracked down with my Orion 80ED. The STS, as predicted, shows the planetary more plainly, with more edge irregularity and the faint-ish star oﬀ to the side. The diminutive M57 ﬂickering in the midst of a Lyran star scape is one of my favorite sights through the Pan 35. I would guess I’ve only looked the Double Cluster more. The Dumbbell (M27) is nice, too. It’s more in your face than M57. With my 13 Ethos, it appears a large, conspicuous smudge of nebulosity superimposed on the surrounding star ﬁeld. The M81 and M82 pairing is the most common galactic target for my STS. I can squeeze both into the FOV (theme emerging?) with a 13 Ethos, each possessing the edges of the expansive ﬁeld. The less salient NGC3077 component doesn’t ﬁt in the 13 Ethos view, but it is, more discreetly, there with its two show-stopping companions in the 35 Pan. I fancy edge-ons and the elusive NGC891 is a fun one to hunt down — which I have on numerous occasions. From relatively dark skies, on nights of reasonable transparency, the central dust lane can be espied in the STS. Under similar circumstances, two dust lanes can be, more facilely, had in Andromeda (M31). Some spiral structure, more resolutely with averted vision, could be discerned in the Whirlpool (M51). In the fall, I’ve looked at NGC 7331 and caught a few of the “ﬂeas” oﬀ to the side. As for the planets, well I have looked at them at all … save for Pluto, of course, and whatever hypothetical planet exists in the far reaches of the Kuiper Belt. A running joke between me and my friends involves pointing a scope at some random expanse of stars and yielding the eyepiece to some astronomy neophyte and saying, “there is Pluto” in reference to any one of the many anonymous points of light in the FOV. Although I’ve looked at conceivably all of the planets, I have predominately gawked at Jupiter and Saturn. The latter perhaps the most. For as fascinating and as variable as Jove is, Saturn is undoubtedly my favorite thing (of anything) to look at. Both of the gas giants look fantastic in the Teeter. As you would imagine, this is a strong planetary (and lunar) scope. Since I am committed to the forgotten art of hand tracking, I am glad I didn’t opt for a “faster” scope than f / 6. Having a larger “sweet spot” is a boon. Though, I have had some memorable planetary views through “faster” instruments, with or without Paracorr installed. As for hand tracking at high powers, well let’s just say I haven’t lent much consideration into investing in a tracking platform. A simple nudge is all it takes to re-position the planet at the edge of the FOV and let it ﬂoat through the center. In my opinion, the single best reason for investing in a premium Dobsonian is for the mechanical advantages over imported competition. Having a Zambuto (or another big name mirror) is great and on select nights the premium optics really strut their stuﬀ. However, take my friend for instance. He has a 10-inch Syntha dob and his mirror is a very ﬁne sample. It seems the Chinese are putting out great mirrors with more consistency these days. Where my STS distinguishes itself from his is from a mechanical, ﬁt and ﬁnish standpoint. My friend, an inveterate tinkerer, has put an inordinate amount of work into his dob to get it to behave how he wants. Many don’t have his skill set … or will. Having a premium structure built around a good imported mirror is worth it, in my opinion. So, how does Saturn look at the eyepiece. Even after all these years, the sight of Saturn and its rings suspended in space, does not fail to evoke those ﬁrst-time emotions. Saturn is always my go-to object (provided it is up) when doing outreach. This past summer, I partook in self-serving side-walk outreach. The reason I say “self-serving” has to do with a realization I came to. My family was up one weekend and I oﬀered to treat them to views of Saturn. My father and my cousin’s husband were adamant to see it and we went around the corner from where I live, found a clearing, then set up the scope near a (moderately) busy intersection. Predictably, a few curious passersby would ask what we were looking at, then meekly plea to see it. Well, among the interested passersby was a cute girl. She exclaimed that she “loved space.” Moreover, she seemed to know how to operate a telescope without any direction, which is a big turn-on for a single astronomer. In the presence of family, I become a little bashful and missed the opportunity to get her number. Nevertheless, it had become apparent to me that tool of my favorite hobby doubles as a bona-ﬁde chick magnet. Who needs cologne and ﬁne clothing? So, a few nights later, I set out on a solitary session, plopped down in the same spot, sat and awaited a sweet young honey to swoon at the sight of Saturn. To make a longer story short, the path to an astronomy-inspired romance is fraught with belligerent drunks and self-assured stupid people. I could continue on with the anecdote, but no planet engenders incredulity among the masses quite like Saturn, “did you put a picture in there?” As I said, I’ve had some great views of Saturn myself. One night it was so sharp at 203x the Cassini Division looked like it had been chiseled into the rings by God himself (or Michelangelo since he is, I presume, up there, as well) in addtion to mottling on the globe. There have been numerous nights of this kind, where I could take Saturn up to silly magniﬁcations without image breakdown. Of course the images softens to some extent and I prefer less power — but remarkable to see it at such a high power (and so large) in all its glory. As for Jupiter, I’ve had some great nights but not as many as I have with Saturn. The reason — whereas Saturn has been a summer planet since I’ve gotten the STS, Jupiter has been up in colder weather. I am of the mind that the seeing is better in warmer weather. Jupiter is often pale with some saturation (color really ramps up with aperture). On the best nights, the bands are ragged with an etched in look, rife with barges and festoons, and the Great Red Spot comparatively salient, depending on whatface Jove is showing you. The outer gas giants, Uranus and Neptune, appear as small billiard balls. The inner-planets, Mercury and Venus, are likewise nondescript but in a phase. Regrettably, I haven’t, for whatever reason, observed Mars much. I did on the ill-fated night my eyepieces rolled oﬀ my terrace but the seeing wasn’t particularly great that night. I am sure I would spot the polar ice cap and albedo features on a good night. The Moon: the bane of every astronomer’s existence. In all actuality, some of us still relish looking at it. No other object oﬀers quite the bounty of detail. One of Ed Ting’s favorite exercises is throwing in the 13mm Ethos (with a telescope around my size) and viewing the Full Moon, he says the experience is akin to ﬂying by on a spacecraft. I would have to concur, the Moon is undoubtedly up front and personal. I usually go cruising for craterlets with my 6mm Delos, which yields 203x. On one night of steady seeing, I counted 7 or 8 craterlets in Plato but perhaps I could have seen more if I looked for even longer. Five of them were easy. The fun thing about observing the Moon is that I have little care for dark adaptation and therefore I have no misgivings about consulting my phone, a Moon app or whatnot. On the night I picked out several craterlets in Plato, I conﬁrmed each in a Cloudy Nights article on the topic ... in real time no less. In August of 2013, my STS18 made the acquaintance of a distant cousin for the ﬁrst time, STS27. My friend’s experience with my STS led him to buy his own. During the deciding stage, he even deferred to my opinion (of dubious value). I told him if Mr. Zambuto were too rich for his blood, he should consider a Royce conical of 10-inches. He heeded my advice and opted for just that. Like my STS, his is every bit a winner. As Teeter once told me, the 10” (or 11”) is the “next step larger” but completely manageable by someone in decent shape. I ﬁgure it would be more exerting to lift as one full unit. When I pull the STS out onto my terrace, I bring it all out in one fell swoop. With a 10” or 11” your vertebrae may thank you for hauling it out in separate components. My STS and his have been under the dark skies of Landis a few times since. 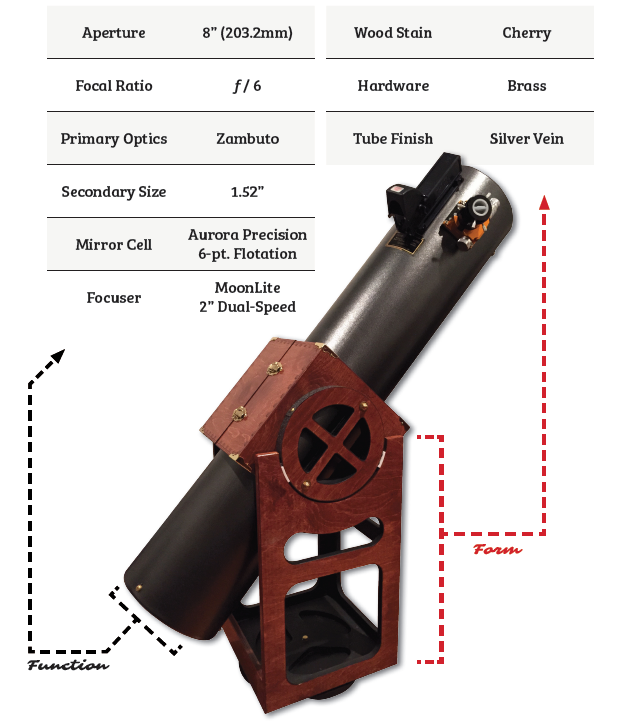 On one particularly memorable occasion, in May of 2015, our Teeters were out there alongside two world-class apochromatic refractors, the FS-128 and the comically coveted AP130. Given all the high-end gear, it felt like some star party of the aristocracy. My friend, who knows next to nothing about telescopes, was on hand. How could he possibly fathom the privilege of looking through such ﬁne gear. Not until several years in the hobby, did I get my ﬁrst eyepiece time with an Astro-Physics refractor or a Newtonian with Zambuto optics. 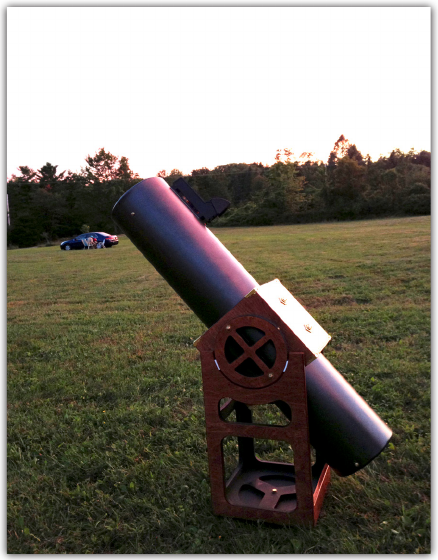 There was, in fact, a 5th telescope on hand: a 4.5” Tasco — hey, every aristocratic star party needs a peasant scope. The FS-128 owner kept trying to pawn oﬀ the Tasco to my friend but he refused. (My friend later regretted not taking it). The modest scope did show Saturn nicely. In fact, on this night the seeing could not have been better. We were all treated to awe-inspiring views of the ringed gas giant, arguably the best I’ve ever had. On this night, Saturn would have looked great in about anything, but the two best views were to be had by the Teeters. My friend, who had no skin in the game (so to speak) or reason to be biased, attested to the “cannon ones” aﬀording the best views of Saturn. There is a myth, pervading the astronomy community for all perpetuity, that smaller APOs reign on the planets and Moon, whereas deep sky is the domain of larger Dobsonians. I’ve come to learn this could not be further from the truth. Both premises. The views of planets become more satisfying in proportion to increases in aperture, especially very high quality aperture. No exceptions. While, on the other hand, many Messiers may look better in a smaller refractor. Sometimes it’s all about presentation and the pristine three degree FOV a 5-inch refractor can provide is unmatched. I think a 5-inch APO makes for a wonderful open cluster and extended nebula scope but if serious survey of the planets is what you're after, save money and swing for an 8” STS or the like. 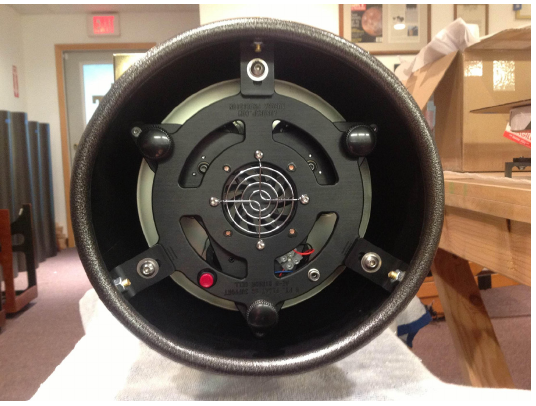 The versatility of an 8" (or 10") dob is unrivaled. As the night wore on, the two refractors guys continued to ﬁddle with their rigs and yammer about True North. Meanwhile, my STS friend and I bartered Messiers. You gotta love the no fuss life of dob owners. Given the ever ﬁckle weather conditions of the Northeast, much observing is interstitial in nature; at times I must sneak observing into a tight window, other times it is hard to justify hauling out a scope which requires a lengthy setup. The STS is well-suited for this harsh reality. The STS can be deployed at a moment’s notice, and broken down just as easily. For this reason, my rig is the envy of my observing buddies, who often show up well before sunset to set up (a process which invariably endures well into the night). Once I arrive at a star party, I choose a spot then drop down the rocker box. I get the OTA from the backseat and plop it into the rocker box. It's that easy. The thin Pyrex mirror, just over an inch in thickness, acclimates quickly to the ambient and the generous amount of space left between the mirror and tube further expedites the equilibrium process. However, one erstwhile local astronomer with whom I have conferred on the matter is a savant when it comes to all things Dobsonians and thermal equilibrium. In his experience, raw unﬁnished aluminum is the best choice of material for a tube. Obviously, the tube of the STS is painted aluminum; he explains an anodized or painted tube radiates heat very well and can (believe it or not) get colder than the air on a cold night. Unﬁnished aluminum, on the other hand, does not radiate as well, but does conduct heat well, convection keeps it close to the air temperature. My supposition is the material which lines the tube keeps the thermal demons at bay (ie: tube currents), though some of the issues associated with a painted tube are manifest on the exterior, in the form of a sheen of dew or, in the winter, frost. I have made two modiﬁcations to the scope since taking it home in 2012. I upgraded the mirror cell to the 6-pt. Aurora Precision Cell from the original baltic birch cell. Notwithstanding the dubious reputation wooden cells bear, I did not see a diﬀerence at the eyepiece going from one cell to the next. The prevailing concern with a wooden cell is it may cause astigmatism. I had no such problem with my wooden cell. The performance of the wooden cell is moot, however, as the Aurora Precision cell nowcomes standard on all STS. I also (later) replaced the parallax-plagued (though serviceable) Rigel QuikFinder with a more substantial Telrad. The Telrad now obscures the Teeter’s Telescopes nameplate — knowing Rob and his attention for detail, should the telescope one day wind up in his possession, he would be wont to drop the nameplate lower down the tube. 6 pt. Aurora Precision Cell -- an upgrade in coolness, if nothing else. The Rigel makes its presence felt. One external secondary screw lies beneath. 1) The STS does not break down into very small components for space constrained travel and storage. This one is to be expected and is not so much a shortcoming as it is a necessary trade oﬀ for the sake of convenience; while a truss can be broken down into small segments and ﬁt amidst a trunk full of luggage, the ﬁeld setup is not as simple and eﬀortless as it is with a solid tube. Generally speaking, the STS travels well but, depending on the size of the car, room will be left for only so many passengers once the OTA sprawls across the backseat. 2) On cold nights, the aluminum tube is uncomfortable to cup and navigate with my hand. Perhaps this problem would be alleviated by a more robust pair of gloves. I have used a mitten within a glove to no avail. Perhaps installing one of those nubs commonly seen towards the opening of cheaper dobsonians may do the trick. 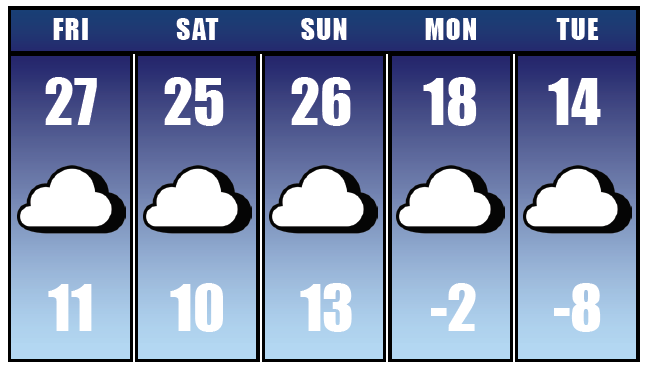 It is not aesthetically pleasing but would make northeast winter observing more palatable. 3) Removing the mirror from the tube (ie: for a cleaning) is a precarious proposition. I have cleaned my mirror once since I have gotten the scope and enlisted the help of a friend the time I did. I doubt I would have been able to do it without his assistance. It really helps to have an additional pair of hands to hold the mirror in place while someone else unscrews it from the tube. Note: I visited the booth of Teeter’s Telescopes at NEAF. The tubes of the newer STS models do not come with rolled edges at the bottom for this reason, unlike the ones of STS18 vintage. For the better part of four years, I have called STS18 my own. To reiterate, it is the most gratifying astronomy-based purchase I have made yet. It could be said this scope is the culmination of more than a decade of observing but it goes back further — when I ﬁrst looked in wonder to the stars as a kid; caught Hale-Bopp saliently streamingacross the sky. This all led me to ask for a telescope for my 14th birthday. (You’ve heard the story: it was a department store telescope of the nascent interest killing variety). I looked at the pictures of Saturn and galaxies adorning the box, “This is what you can see!” emblazoned in big letters above. Even the less worldly incarnation of myself thought “gimmick.” And a view through the eyepiece from my light polluted backyard corroborated my suspicions — what steady views I could muster given how wobbly the mount was. From this point on, I consciously re-calibrated my expectations of what an amateur telescope could do; never realizing those expectations were unsold to start with. Back then, I never dreamed I would possess a scope to show me so much of the heavens and so intimately. In this hobby, each purchase calls for careful deliberation and is circumscribed by a diﬀerent set of ﬁnancial thresholds. Every night, after wrapping up an observing session at Landis Arboretum, as I wend my star-sated self home while the world sleeps, my toes invariably thawing, I reﬂect on the night and the views. Most poignantly, I reﬂect on the friends with whom I share the stars and the gear which has bound us together and furnished our friendships. While our hobby is not cheap, its most important parts could never be priced. Thank you for the beautiful review. I have an sts 8 and I think the sts 11 you mention in your review. They are both my favorite scopes. The sts 8 is easier to carry and set up for quick suburban looks. I've considered writing a review too comparing the sts 8 to my zhumell 8. There is a big difference in price but it is worth it for the improved motion, fit and finish, views, and customizability of the sts. Awesome review and a fun to read love letter to fine craftsmanship. 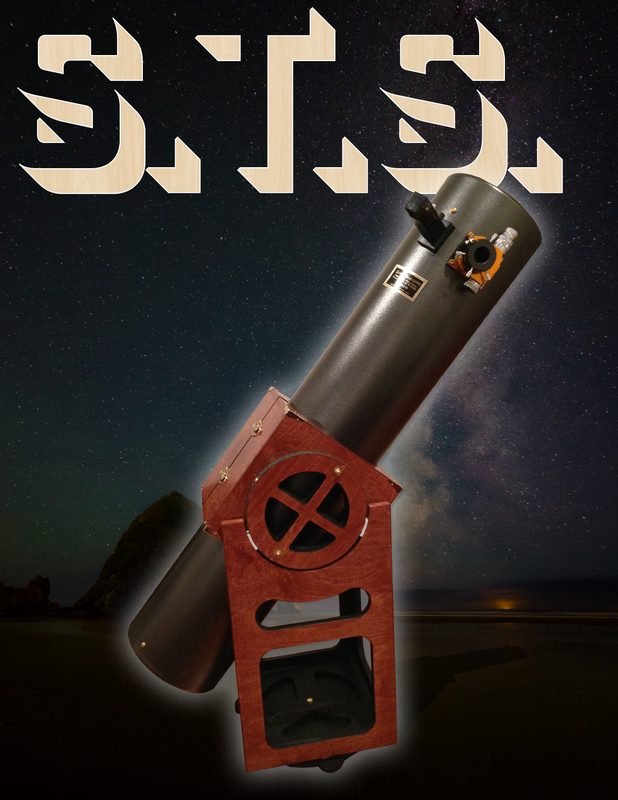 The mass produced Chinese dob's deserve their place by introducing thousands of aspiring astronomers to the night sky every year, but there is definitely something special about a scope lkike this. Thank you for the review. I became immersed in the story and your method of storytelling was captivating. must be the best Arboretum in the world. I've always admired crafted scopes and the cradle dob design. As the proud owner of STS27 (the other Dob in Daniel's review), I second the fanatical praises of our Teeter instruments. At all the outreaches I've attended, and several star parties as well, my Teeter shows the best images of ANY object, lunar, planetary, or DSO. I'm always having to absorb praises for my scope. Tough job, but somebody's gotta do it. Great review; very well written and enjoyable! Excellent use of the thesaurus dude. Lots and lots of words. First time I've ever seen the word "ejaculated" used in an astronomy related review. 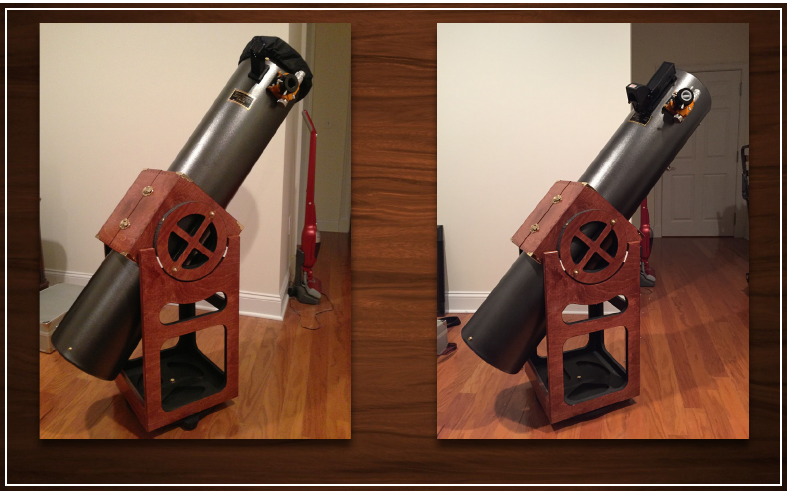 Great review, great craftsmanship, great telescope and great friend! I have had the pleasure of the fine views this scope actually puts up with the author at Landis. Bookmarked this for later reading when I have the time. The layout of this review is terrific! What a nicely written review. It's amazing that such a small simple scope can muster up so much enthusiasm. It only goes to show 'size does't really matter'. I'm really happy you are truly enjoying the scope. It's also very, very obvious you have great pride of ownership. Wishing you many wonderful moments under clear steady skies using this fine instrument. Excellent review... I haven't said much about my STS 10" because I'm to busy using it. The design and functionality of the STS is excellent. I agree with all of the previous comments. Love your writing style. This is positively the best written review I have come across. Read every word. Teeter is world class. A very well written review. At first I thought it wa going to be a review of a 18"! An 18" STS would be nuts, but the 8" sounds lovely. Great review. I have STS14, 11", and I couldn't be happier. Though I'm 74, I have no trouble handling it. And Rob is a joy to work with. I'll second what others said: great review. A real shame your astronomical romance didn't apparently take off, or did it on another night? What astronomical romance? The one I speak of it at the beginning was my brother's. This is a beautifully written review--reads more like like a good piece of fiction than dry recitation of scope attributes and capabilities. I think the astronomical romance referenced directly above was the cute girl who "loved space", but for whom you failed to secure a phone number. Your review really does make me want to get a Teeter STS. Maybe they should link to it on their website (with your permission). I'm approaching a year on my STS-- Number 55-- also, as it happens, an 8' f/6. I ordered it at NEAF last year and picked 'her'* up at the Teeter plant in late October. It was built around a Galaxy mirror set that I'd bought from Al Nagler many moons ago, and a Feathertouch focuser and Protostar 3-vane spider that I'd acquired with the intention of building a scope around the mirror set, myself. My fiancee, Jean and I were touring the other exhibits and had gotten to the Teeter stall, when I idly mentioned that I had the parts languishing, liked what Rob was doing, and mentioned that at some point it might be worth inquiring what having him build something would cost. Not only did she not quibble, she just short of ordered me to pull the trigger then-and-there. The mirror set had languished in my basement long enough to need re-coating, but I'd already had that done. (Shoutout to Tony Pereira of Spectrum Thin Films for the Enhanced Silver primary and Dielectric secondary coatings.) The rocker box was built a few inches taller than standard, and without the usual square cutouts, to accommodate sliding the tube down farther so the weight of a Type2 Paracorr with a 21mm Ethos eyepiece could be balanced. In short, I love this telescope. It and my Genesis are the scopes I mostly use these days, and the STS takes a lot less time to set up and take down than the refractor on its Gibraltar mount. I can have the STS out of the vehicle, assembled, the Paracorr and eyepiece in, and the Telrad aligned in 5 minutes-- setting up the Nexus DSC or Sky Tour (when I use a DSC) takes a few more. I've only needed to re-collimate once, although I would do a full check (and collimation, if needed) on 'GPs' at the beginning of any actual star party. As to vehiclular transport, I have two vehicles, a 2002 Nissan Quest minivan and a 2010 Prius-- the scope fits well in either. 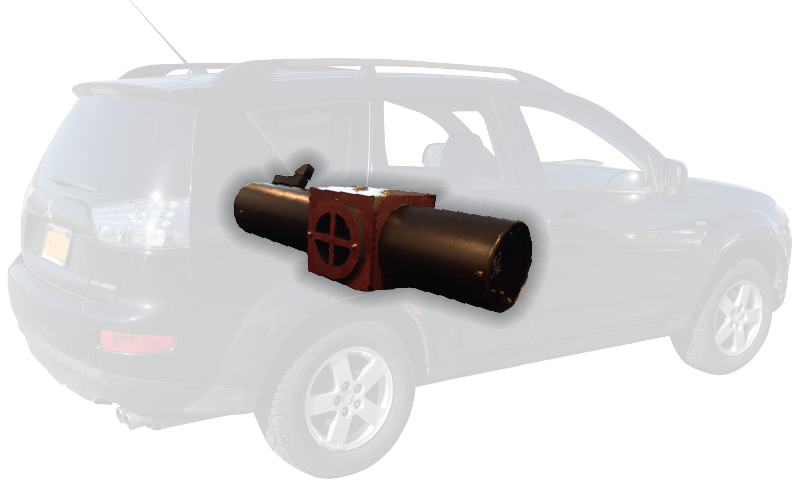 In the car, half of the rear seat needs to be folded down and the scope goes in longitudinally, with the groundboard behind the upper part of a front seat. In the van, it can either go in transversely behind the front seats and in front of the rear bench seat when the bench is in its next-to front-most position, or longitudinally behind the bench seat when it is in its front-most position. It will not fit transversely in the van, except in the way described above, nor any other position in the car. In all three cases, the rocker box assembly is down by the bottom end of the tube and the top of the tube is nested inside the ground box-- using foam rubber sheets to prevent contact between the components.